Today’s editorial content is sponsored by Devotion Nutrition, maker of ridiculously delicious flavored stevia packets: Flex Flavors! Keep reading for more on these miracle 0-calorie flavor boosters, including an exclusive offer! 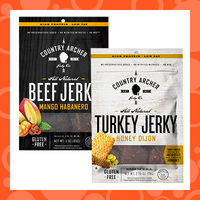 Oooh, we've got a new jerky crush! This whole lineup is full of flavor. Our favorites are the Mango Habanero (from the beef line) and the Honey Dijon (one of the turkey options). It's always a good time to stock up on jerky... After all, it's the ideal emergency snack! Click to find it near you or order online. Bonus: The brand also makes individually wrapped meat sticks, perfect for portion control. Cottage cheese with pineapple is an old-school combination, but this new-school product is worth checking out! Creamy, rich, and satisfying, with pieces of real fruit and just the right amount of sweetness. 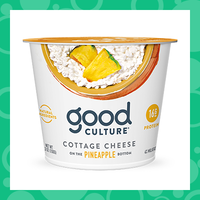 All the Good Culture cottage cheese we've tried tastes GREAT -- from the Classic to the Mango -- but this is our top pick. Find it! 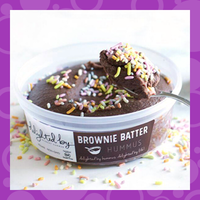 Yum, yum, yum... It's National Nachos Day, November 6th. We're a teensy bit obsessed with these Loaded Bell Pepper Nachos. Once you try them, you will be too! Share, share, share! Click "Send to a Friend" right now to pass the news along.